A domestic abuse Multi-Agency Risk Assessment Conference (MARAC) is a meeting that brings together representatives from a number of agencies in East Sussex to discuss the safety, health and well-being of people experiencing domestic abuse (and their children). In some cases, a referral may be completed to the MARAC without the victim’s consent. If you are making a referral to the MARAC and you do not have the consent of the victim to do so, you will need to follow your agency’s guidance on information sharing in these cases. There is a template MARAC Information Shared without Consent Form available from SafeLives. There are a number of documents related to the Domestic Violence Disclosure Scheme, sometimes known as ‘Clare’s Law’. Please refer to the Practitioners Guide for more information. 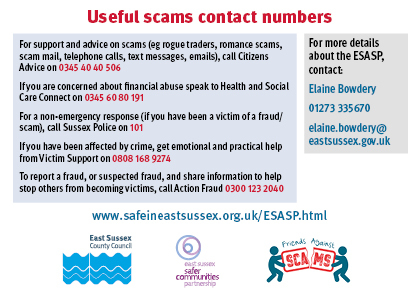 The Safer East Sussex Team offers training to statutory, voluntary and community sector partners to help ensure that frontline professionals are able to undertake risk identification and refer to the MARAC. People affected by domestic or sexual abuse or violence in East Sussex can contact The Portal to find out more about the help, advice and support available. Advice and support is also available for professionals, including consultancy support if they are working with a client who has been referred to the MARAC.